Unstructured storage vendors have divided into two camps for using the cloud: One group favors public clouds and the other prefers hybrid clouds with local control. But what if your company, for reasons related to comfort or compliance, won't send corporate data to a public cloud service provider? The latter enterprises form the core market for Igneous Systems, maker of the Igneous Data Service for hyperscale storage workloads. 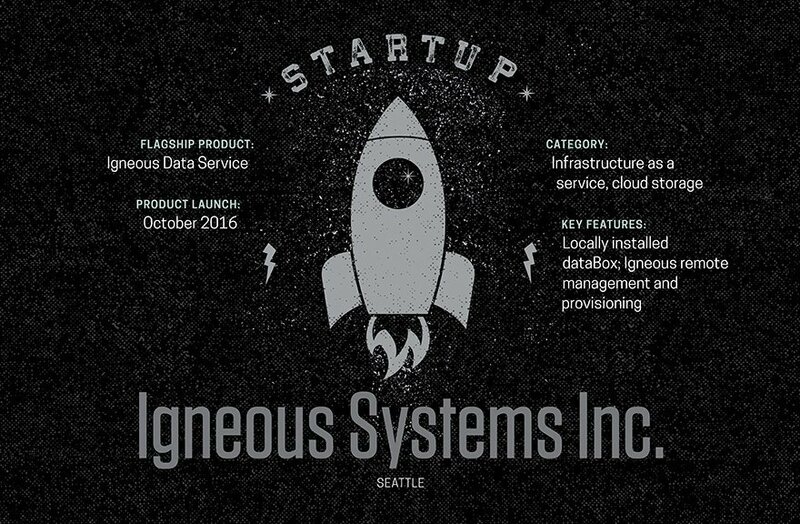 The Seattle-based data storage startup's infrastructure-as-a-service platform combines a disk appliance with Igneous Cloud software APIs to Amazon Simple Storage Service. Igneous Systems' storage technology is intended for enterprises that can't risk exposing data sets in the cloud. Yet, in an era when data growth has outpaced IT budgets, building capital-intensive data centers usually isn't an option. Igneous Systems offers characteristics of the public cloud while reducing cost, management and risk. Rather than manage the storage in house, enterprises pay annual subscription fees to Igneous to install its hardware locally and to remotely manage, provision and scale storage. The purpose-built appliance gets installed behind a corporate firewall. Customers access data inside the data center at LAN speed via the Igneous cloud. The Igneous Data Service consists of a 4U dataBox for capacity storage and a 1U stateless server to connect protocol endpoints. A single dataBox accommodates 60 drives and 212 TB of capacity. Annual subscription prices start at approximately $40,000 per year. Exabyte-scale capacity is achieved by purchasing additional 212 TB increments from Igneous Systems. The system-on-a-chip architecture entails an on-premises enclosure of ARM-based nano servers, each with dedicated processing, networking and storage. The self-healing components support failure in place. How much unstructured storage would you need to justify the purchase of an Igneous storage platform?